Tokyo is so big and diverse that it is difficult to go around on your own. Your time is limited, but if you want see it all, this is the perfect way to see the city. Explore the highlights of Tokyo on this 8-hour small-group tour by minivan. It combines a bus tour with short walks with professional and friendly English speaking guide. Visit Tokyo’s top attractions such as Tsukiji Fish Outer Market, Imperial Palace East Garden, Asakusa, the Meiji Shrine, Harajuku, Shibuya Crossing in just 8 hours. A knowledgeable local guide will help make your day in Tokyo easy, safe and fun. 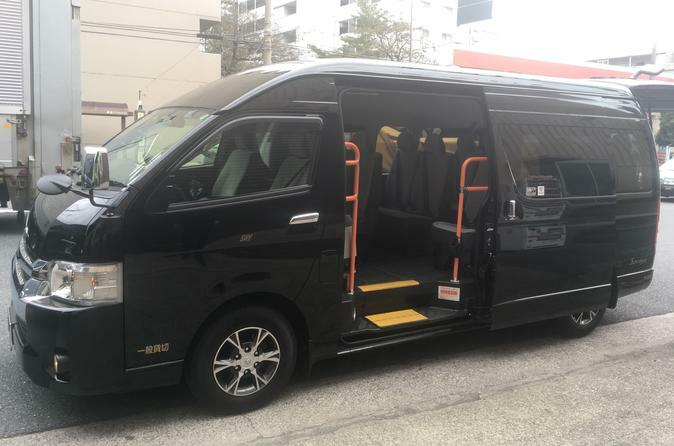 Your Tokyo minivan tour begins at 9am by meeting in front of the Tsukiji Honganji Temple. Then you will walk to the Tsukiji Outer Market and explore Tokyo's kitchen and learn how we could get fresh seafood!! After seeing the biggest market, you will move to the Imperial Palace East garden and learn about the Imperial family. Then you will move to the most traditional area in Tokyo, Asakusa, and eat a lunch. After lunch, you will move to the biggest shrine in Tokyo, the Meiji shrine. Then you will walk the pop culture filled street in Harajuku, Takeshita street. At the end of the tour, you will visit the Shibuya scramble crossing and take a group photo, and finish the Tokyo highlights tour at 5pm. *Minimum numbers apply (4 people). There is a possibility of cancellation after confirmation if there are not enough passengers to meet requirements. In the event of this occurring, you will be offered full refund and notified 5 days in advance. *If Imperial palace garden would be closed, we will visit Hamarikyu Japanese garden instead.